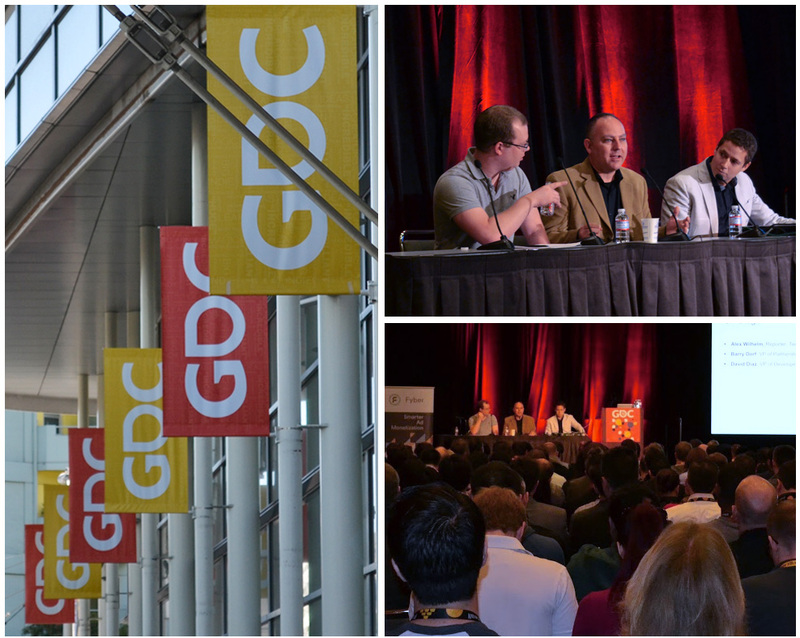 Last week at the annual Game Developers Conference (GDC15) in San Francisco, we were excited to be featured on three different panels alongside other industry leaders to discuss key issues surrounding monetization and app business development. During the first session, “A Glimpse Into the Future of Game Monetization”, DeNA’s VP Partnerships and Alliances, Barry Dorf, took the stage with Alex Wilhelm of TechCrunch and Fyber’s VP Developer Relations, David Diaz, to discuss what the gaming landscape may look like in 2017: How will business models evolve over the next two years, and what role will ad monetization play in the mix? In case you missed the talk, here are a few highlights: Premium: The next wave in gaming? Today, 90% of the market uses the free-to-play model and monetizes from in-app purchases or ads. While this approach clearly appears to be working for now, the landscape will very likely change over the next five years. Given that markets tend to be cyclical in nature, Barry hypothesized that next wave of monetization may be the premium pricing model – in other words, spend $15 or $20 and play forever. We’ve seen this model work for console games, and it could take off in mobile. The role of ad monetization Barry noted that ad monetization has already come a long way. He shared that even a couple years ago, DeNA would have shied away from using ads. But now that the market is more mature and options exist for making them less intrusive, ads are a good complement to DeNA’s monetization strategy. In fact, DeNA didn’t see any drop-off in in-app purchases after implementing ads into their games – their addition simply added to overall returns. In Barry’s words, “you can easily double your revenue if you’re smart about placements. Our ARPDAU (average revenue per daily active user) is 10 times the industry average.” However, both Barry and David agreed that proper placement and quality integration are key. “Ad success has so much to do with placement,” said David. “With the right strategy, you can boost engagement and retention, as well as revenue.” Barry added, “you can’t just throw ads into your games. You have to do it right. Work with your designers on the right kinds of placements.” Bitcoin & the potential of micropayments The panel also discussed the impact that bitcoin, or a similar payment system, might have on mobile gaming. David hypothesized that bitcoin may unlock the potential of micropayments, as it would allow gamers to make purchases valued at less than the current App Store minimum, which is 99 cents. However, he noted that bitcoin would have to stabilize before we’ll see gaming companies seriously consider using it as a part of their monetization strategy. Barry echoed that sentiment, stating that DeNA “certainly wouldn’t lead the charge” when it comes to bitcoin, but that this type of payment system has the potential to simplify the process of making international payments. Wrap-Up Many thanks to Barry and Alex, and to all those who attended the session – it was a great turnout! In case you missed us at GDC, we hope you’ll keep in touch at an upcoming event. Our team will attending SXSW and Programmatic I/O, so if you’d like to set up a meeting, please contact us at [email protected].